DSC00781, a photo by a1scrapmetal on Flickr. 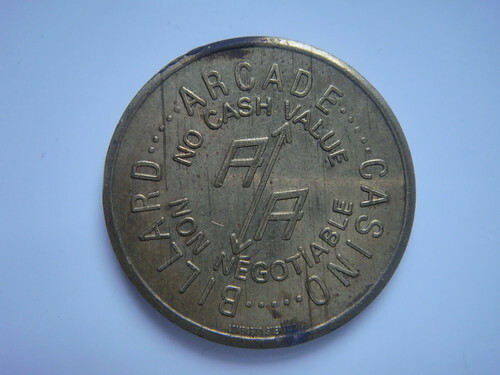 Found this in a drawer at the weekend. Not sure where it came from, or how it got in the drawer. 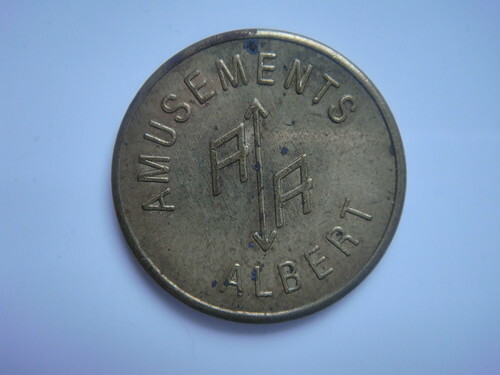 If I could find Albert's Amusements I would be ready to be amused. DSC00782, a photo by a1scrapmetal on Flickr. 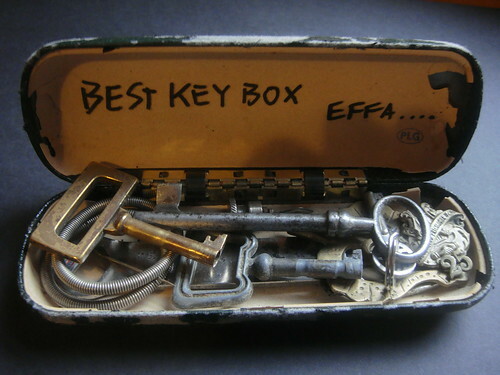 PLG's "Best Key Box Effa"
DSC00786, a photo by a1scrapmetal on Flickr. The contents of the box from PLG laid out to view. It is indeed the best key box. DSC00787, a photo by a1scrapmetal on Flickr. 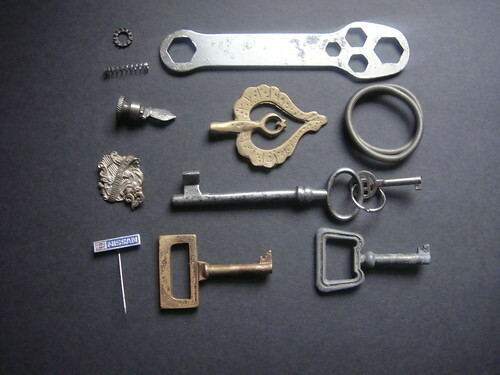 PLG kindly sent me an old glasses case filled with lovely keys and assorted metal things. 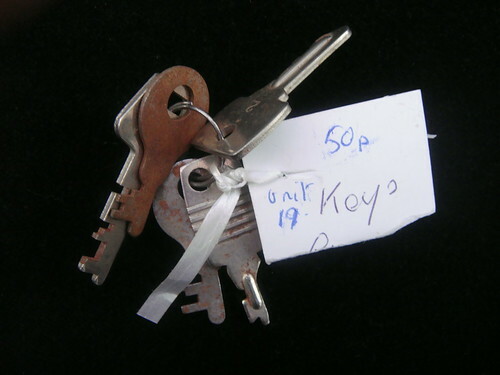 50 pence keys, a photo by a1scrapmetal on Flickr. Found on a visit to Blakemere Antique Emporium. 50 Pence a bunch. 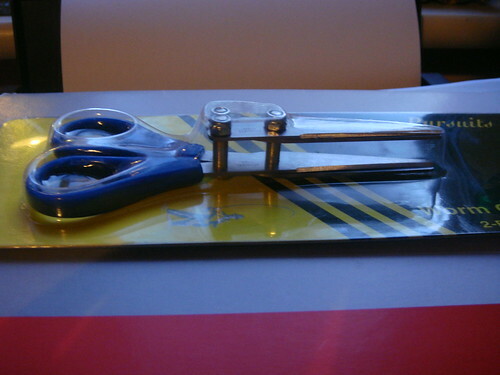 worm scissors, a photo by a1scrapmetal on Flickr. Start the New Year off how I hope to continue..
Found in a Pound Shop in Manchester. 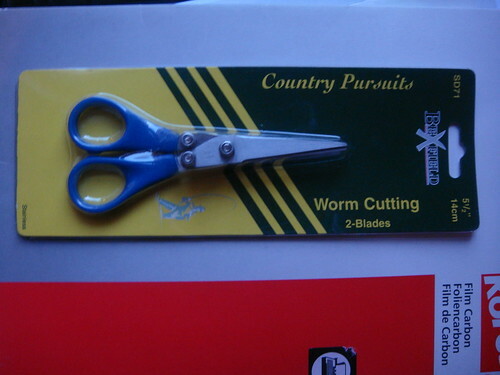 "Worm Scissors" from the Country Pursuits range. Two sets of blades around a centimetre apart to allow the swift cutting of regular sized cunks of worm. Ingenius, if not a little nasty. I will NEVER chop up a worm with them..and are worms really that long that they need a special pair of scissors to speed up the job? worm scissors 2, a photo by a1scrapmetal on Flickr.